Heat 10-inch skillet over medium-high heat. Add 2 tablespoons vegetable oil, swirling to coat. 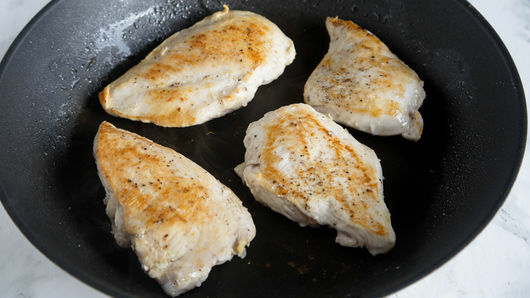 Sprinkle 4 to 6 boneless skinless chicken breasts on both sides with salt and pepper. Cook in oil 10 to 12 minutes, turning once, until juice of chicken is clear when center of thickest part is cut (at least 165°F). Remove from skillet; cover with foil to keep warm. 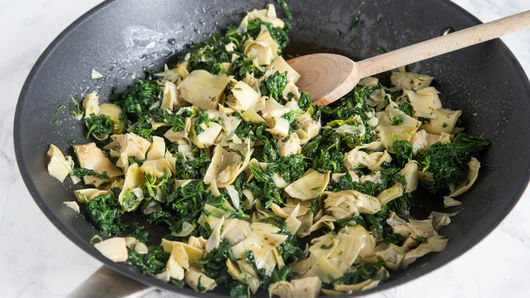 In same skillet, add 1 box (10 oz) frozen chopped spinach, thawed and squeezed to drain, and 1 jar (14 oz) marinated artichoke hearts, chopped. Cook 2 to 3 minutes or until heated through. Add 2 jars (14 oz each) roasted garlic Alfredo pasta sauce. Simmer 4 minutes. Add chicken back to skillet. Cook about 2 minutes or until heated. Sprinkle with 1/2 teaspoon crushed red pepper flakes, if desired. 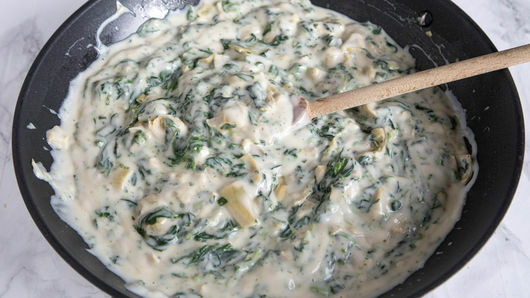 Mix it up, and use different flavors of Alfredo sauce for a whole new meal. 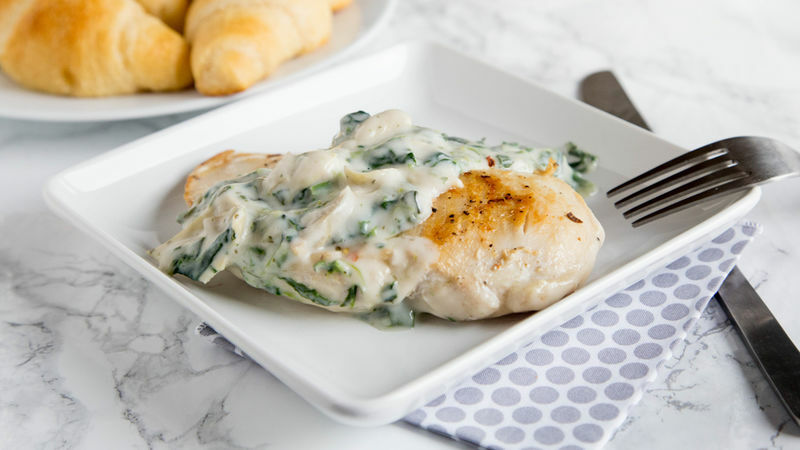 Serve with Pillsbury™ refrigerated crescent dinner rolls for a complete meal.